Submitted photo The Collins School. 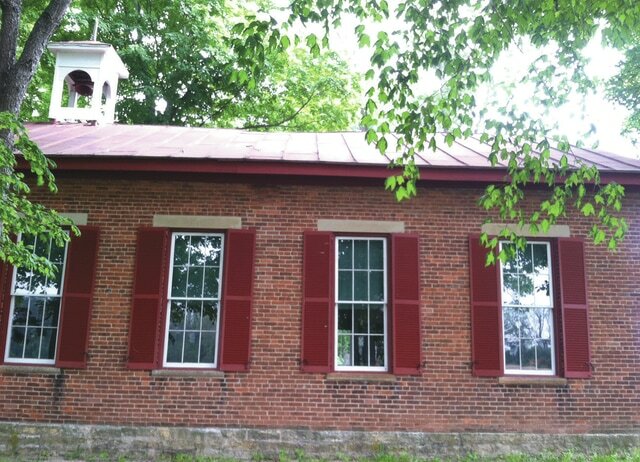 XENIA — The Old Fashioned Day Camp at the 1879 Schoolhouse still has openings. Boys and girls who have completed second through fifth grades can join Collins School teachers Gayle Hartman and Robin Vaughn for for the camp, 9 a.m. to 12 p.m. Tuesday-Thursday, June 23-25. Writing with slate pencils on slates, reading on the platform, creating crafts, learning about trees and the herb garden will be part of their activities. An old-fashioned snack and drink will be provided by the teachers. Campers may wear old-fashioned clothes to enhance their enjoyment, but that is not required. The 1879 schoolhouse is located at 2804 West Enon Road, west of Greene County Career Center, and is situated with a shady playground. Registration forms may be found at all branches of the Greene County Public Libraries as well as Xenia’s Blue Jacket Books, the Xenia YMCA and Wicklines. In Cedarville, forms are also available at Beans & Cream. The grocery store in Jamestown and the Antique Market in Beavercreek also have forms. Registration is $30 per camper and more information is available by calling/texting Janine Montgomery at (937) 371-2134. This unique experience is open to public, private and home-schooled children from anywhere. Caregivers/parents are invited to come at the end the session to take pictures and explore the one-room school, coal/pony shed and privies.